There is absolutely nothing more refreshing to drink than fresh raw milk. Hands down! Raw milk is milk straight from the cow, goat or sheep whole, unfiltered, unheated, unrefined, with full fat. It is unpasteurized and unhomogenized. Not all raw milk is equal. Most people who are proponents of it, when they discuss raw milk, are referring to milk from pasture-raised cows that are at least mostly grass-fed, and that are free of antibiotics and growth hormones. However, when anti-raw-milk people discuss it, they usually refer to studies that do not take the source of the milk into account, and might include milk from feedlot (conventionally-raised) cows. It also does not necessarily take into account practices, whether raw milk is from cows that are tested, how frequently they are tested, etc. All is lumped into one raw category typically. What is pasteurization and homogenization? All milk sold in grocery stores even the organic ones are pasteurized. While pasteurization kills bacteria that could be harmful, it also kills good bacteria and destroys enzymes that are helpful for digesting the milk (this is why many people are lactose intolerant). Most milk nowadays yes, even organic – is ultra-pasteurized (UHT)which means that its been subjected to even higher temperatures (i.e. kills more bacteria and destroys more nutrients and enzymes) and can last for several weeks (sometimes up to 2 months) in the fridge. But if you leave the carton of pasteurized or UHT milk out on the counter for a day, or when its past the date, it rots and smells putrid. It becomes completely unfit to drink or cook with. Raw milk on the other hand doesn’t really rot or expire; it just sours. Clabbered milk, or soured milk, is a whole food that is perfectly safe to drink or use in cooking. Heat-sensitive lactic acid producing bacteria in the raw milk proliferate, and you are left with a probiotic-rich drinkable yogurt that is actually good for your digestion. “The milk is pumped under high pressure which smashes the milk molecules so hard. Homogenization splits and exposes the molecules.” The hard science goes like this: A raw milk molecule is surrounded by a membrane, which protects it from oxygen. Homogenization decreases the average diameter of each fat globule and significantly increases the surface area. Because there is now not enough membrane to cover all of this new surface area, the molecules are easily exposed to oxygen, and the fats become oxidized. We dabbled with lactose-free dairy for a bit, but it was too processed for my liking, and it tasted nothing like the real whole milk we have been used to drinking all our lives. And cheese almost no lactose-free cheese existed in stores and those that were available did not taste good. We exhausted all conventional options before exploring others. Chances are good that you may [be able to digest raw milk], even if you’re of African or Asian descent, assuming you can find a reliable source near your home. Unheated milk contains its full complement of enzymes and lactase-producing bacteria needed by our bodies to break down and assimilate the milk sugar lactose. These helpful bacteria are killed in the pasteurization and homogenization process. Fermented milk products, such as yogurt and kefir, naturally lower in lactose due to the actions of various Lactobacillus and other lactic acid-producing bacteria, may be better tolerated by some. I did what anyone considering raw dairy would do: I consulted with a physician. Not so smart, it seems, because apparently physicians have almost no nutritional training, and most have no idea that there are people who actually still consume raw milk. The basic response from the doc amounted to Youre nuts. Your husband should just quit the dairy and keep taking the lactase pills whenever necessary. I was not thrilled with his answer, and so I discarded it. As all good things start, two friends each from a different background started raving about raw milk. One of them is a mom with four young children, and she gives them raw milk frequently from a local farmer. The other friend is a young working professional who started reading about the importance of healthy saturated fats, and discovered that the milk that is sold in stores is nutritionally inferior to the raw stuff. When I started reading about the importance of healthy fats, I decided to look into raw milk more closely. But because raw milk has been so demonized in media and conventional medicine, I was really suspicious at first. I read a lot of information about the risks associated with raw milk as well as the supposed benefits, and I decided to give it a shot. Exclusively grass-fed: The raw milk had to come from exclusively grass-fed cows, goats or sheep (I prefer the taste of cow milk to the other two though), but in all cases, I was not comfortable with any grain supplementation. Organic pasture: This grass has got to be organically cared for. No synthetic fertilizers or pesticides on there, please. Older breed of cows: The breed of the cows was important, I’d learned. 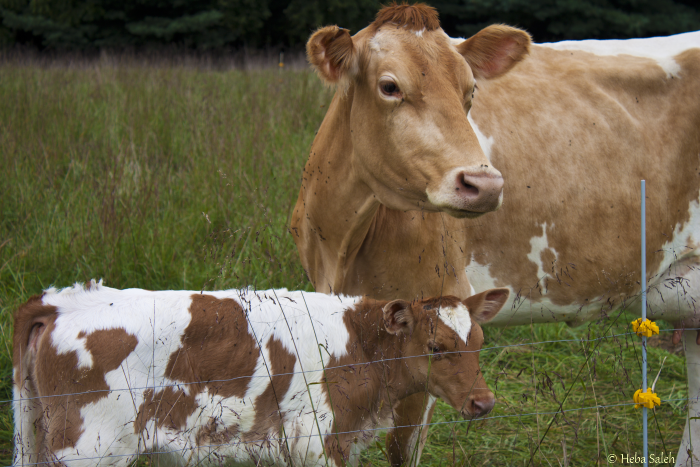 Older breeds like most African and Asian cows, as well as most Guernseys, Brown Swiss and Jerseys produce an A2 beta casein (milk protein)that is more digestible by the human body. All milk found in North American grocery stores is produced by newer breeds like Holsteins. The milk proteins that the newer breeds produce (A1 beta casein) is mutated, and even linked to chronic conditions in scientific experiments documented by Keith Woodford, author of Devil in the Milk: Illness, Health and the Politics of A1 and A2 Milk . So, I was on a mission to find a pretty Guernsey, Jersey or Brown Swiss that is tested to make sure the milk produced is A2 milk. Pathogen testing: The cows should be routinely tested for pathogens. Unprocessed in any way: I wanted my milk full-fat and unhomogenized which I didnt have to even worry about, because all raw milk is naturally unprocessed in that way! Small local farm: The dairy had to be from a small local farm that I can visit any time I’d like, and whose practices I can verify. Glass packaging: I wanted the dairy packaged in glass. Why ruin perfect raw milk by having it packaged in plastic with all the BPA and other chemicals leaching into it? After we found a source for raw milk that met every one of these criteria, we placed an order through email, and went to the designated pick-up location to pick up the dairy in the city. We went home, and took out two glasses for the both of us. Hands a little shaky, I twisted the tin caps off the glass jars, and carefully poured half a glass first. I brought it up to my mouth, and sniffed a bit before gulping down a generous sip. Seriously and I swear I’m not exaggerating it was the tastiest sip of cool creamy milk I had ever tasted. I had fallen in love, and I was never going back to that ultra-pasteurized grocery store junk that pretended it was real milk ever again. Isn’t there a risk with everything in this life? Crossing the street, driving a car, eating at many restaurants (each sourcing its food from random places), flying a plane, confessing your love to a good friend; I can go on but you get the point. At the same time, risks can be controlled in different ways: for example, I would never in a million years drink unpasteurized milk from conventionally raised cows. The criteria I mentioned above for selecting my source of raw milk certainly mitigates the risks substantially. What I am not trying to do in this post is try to defend the decision to drink raw milk; but I am simply sharing my experience as well as some resources you may find interesting or helpful. I am by no means implying that everyone should drink raw milk or even drink dairy at all if it does not make sense to you but I want to share some of the information I have come across recently, because knowledge is power or something like that. If you listen to government health officials and conventional medical staff, you will probably not relate to this post. That’s up to you. But I personally don’t trust that the government is in a position to make reliable health recommendations and I find most government guidelines to be misguided or problematic at best, especially when it comes to food freedom. And I’m not alone. 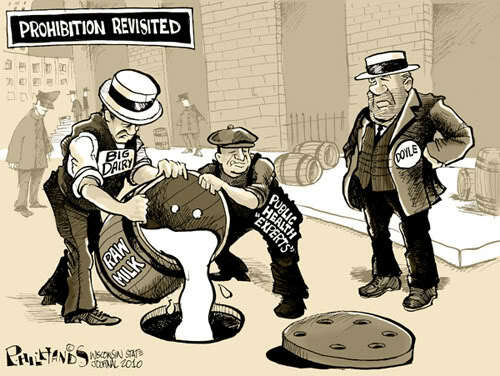 Apparently, a small survey revealed that 93% of raw milk drinkers don’t trust the government for dietary advice either. This is also why I don’t believe that the government cracking down on local farms is ethical. In fact, if you take the time to watch the documentary Farmageddon, you’ll see why I think these crackdowns are downright evil. Well, they’re not evil if they actually save people from infections; right? If raw milk is dangerous, as the CDC insists it is, then these crackdowns on small family farms would be understood. But heres the thing: the crackdowns have nothing to do with the milks safety, and everything to do with the dairy industrys monopolyand its connection to government officials. 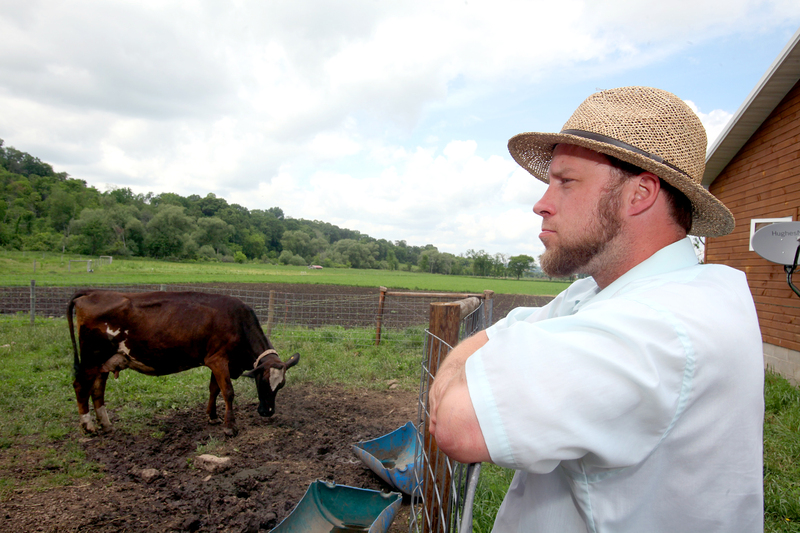 Take family farmer Vernon Hershberger for instance who faces up to three years in prison, and fines up to $10,000 simply for providing organic raw milk to consenting persons who have never been sick from consuming the milk he provides! Simultaneously, with twenty-nine people dead from a recent listeria outbreak from cantaloupes, another outbreak from ground turkey, what are the legal actions that have been taken against these producers, who actually caused people to get sick and a number of them to die? Someone somewhere decided that raw milk isnt safe to consume, but raw fish (sushi), raw meat (steak tartar), and raw eggs (eggnog) are perfectly fine despite the lack of scientific evidence that raw milk is inherently dangerous and somehow more dangerous than other raw foods which are sold in stores, and also despite the fact that some of the sources of these other raw foods might be highly questionable and people have gotten sick from them! Whack. I won’t go into details here, but just consider that the largest foodborne salmonella outbreak related to milk was in 1985. In that case, the pasteurized low fat (2%) milk came from a large dairy farm and yet, it killed 9 people and infected 5,295 people. 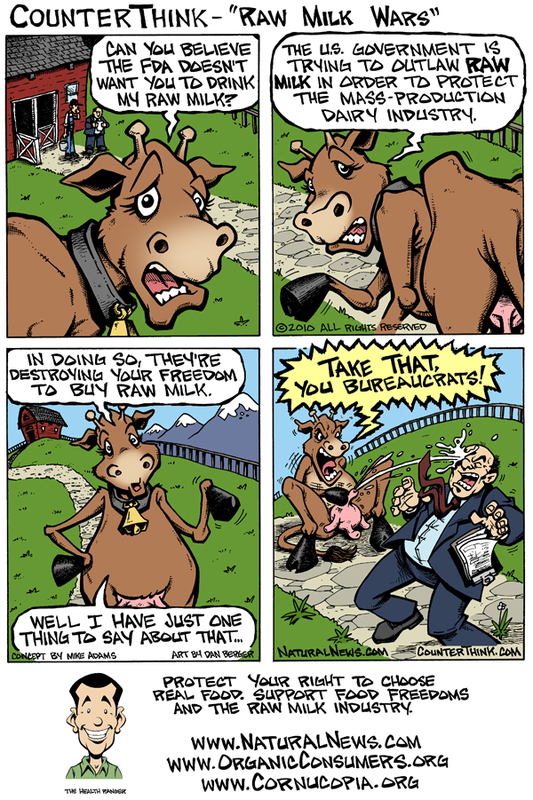 In Hershbergers case, raw milk sales aren’t legal in his state. Yes, raw milk is illegal in 15 states, and restricted in 26 others, which I find udderly ridiculous (pun intended). Besides the obvious fact that the U.S. laws should guarantee the freedom of buying whatever foods you deem fit for your consumption (and should not control individuals buying choices), this article from Counter Think does a good job of humorously explaining the irony behind the governments choice to ban raw milk specifically while failing to regulate or ban actually harmfulartificial ingredients in processed foods and carcinogenic chemicals in personal care products But, I digress raw milk is not only not harmful; in many cases (if you know the source) it is one of the most beneficial sources of nutrition for humans! In Texas, I can buy raw milk directly from a farmer, which is legal. However in states like Florida and Virginia, you would have join a cow-share (also known as a herd share). So, instead of buying milk; you technically own a part of a Guernsey cow, and the milk it provides is yours to deal with. Yes, its not the most convenient way to get the milk, but its there as an option, because otherwise, it would be technically completely illegal to even drink the milk. Whack again, I know. (1) Knowing the source of your dairy, and being sure your milk doesnt have the rBGH (hormone) or antibiotics – Nowadays, most conventional milk is laced with a ton of antibiotics (antibiotic-resistance, anyone?) and some are even tainted with growth hormones. Gross! I’d steer clear from that kind of milk if you’re looking for good health. While organic milk is better than conventional milk because it at least guarantees that the animal received no antibiotics or growth hormones, buying organic milk does not guarantee that the animal is pasture-raised (free roaming) or grass-fed (it could be grain fed, and that’s not traditional cow/goat/sheep food because they are naturally grazing animals). If you buy milk from a local farm, you can visit the farm yourself to see the way the animals are raised, where they’re milked and how the milk is handled. And let me tell you, its very reassuring to know where your food comes from (as was customary in the days prior to the industrial revolution), and to visit the farm yourself if you want to see the cows grazing on lush grass, as I did last year when deciding on a local farm to own my cow share and get my dairy. Several of milk’s natural components including beneficial bacteria, food enzymes, natural vitamins and immunoglobulins are heat-sensitive. These health-promoting components of natural, raw milk are destroyed by heating and therefore not present in pasteurized or UHT milk. 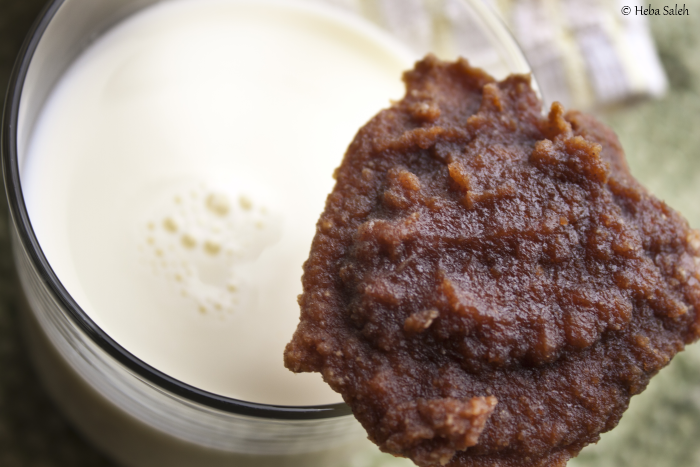 Indeed, many foods – milk included – provide best nutrition when consumed in a raw or minimally cooked state. While heating milk doesn’t change the mineral composition to any great degree, it does, however, change its bioavailability rendering all that lovely calcium less absorbable. Here’s a more specific fact for you: raw grass-fed milk has five times more cancer-fighting conjugated linoleic acid (CLA) than regular milk; it contains more omega-3 fats, as well as more beta-carotene. (3) Protection from asthma and other health disorders There’s a lot of anecdotal evidence to show that many have been healed by consuming raw milk. Improvements in autism, asthma, metabolic syndrome, mood disorders, irritable bowl syndrome (IBS), Crohns disease I can go on. To read some testimonials, click here. But for all you doubters out there, a large European study known as the GABRIELA study has shown that children who drink raw milk are 40% less likely to develop allergies and asthma than children who drink pasteurized milk. In my husbands case, raw milk was not only more digestible; the probiotics (good bacteria) therein actually helped repair his digestion. And frankly, thats good enough evidence for me. (4) Supporting local agriculture as opposed to oppressive feedlots Buying milk that has been shipped from miles away compromises the milks freshness and supports big agribusiness which often has less than stellar practices within the dairy industry. Besides the antibiotics, hormones, and damaging effects of homogenization and pasteurization mentioned earlier, the milk in a carton in your local grocery stores is not from one or two or three cows. It’s a mix of hundreds of cows from different dairies, so its practically impossible to trace back to one farm or source. You can’t verify the quality even if you wanted to. Additionally, the cost of the milk is divided among many: the grocery store, the supplier, the dairy farm and the farmer. 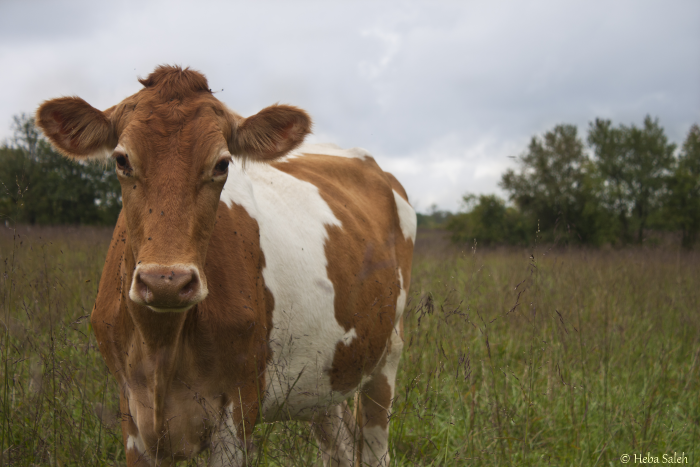 If you buy locally-produced milk, you can know your farmer and your cow, and the money you pay for your milk goes to support an honest worker in your local economy. Local farming is beyond a doubt more sustainable for the environment, your health, and your local economy. Wins all around. Who can say no to raw cream and pastured eggs? Even if you’re not passionate about raw milk, or if you’re not even convinced its a food that you would like to consume, you should still advocate for food freedom. How would you like it if your favorite local foods certain vegetables, nuts, sushi, etc were not only heavily regulated, but also banned in your area? Wouldnt you be outraged? If you’re interested in obtaining raw milk for you or your family, your best bet is to navigate this page Where Can I Find Raw Milk? on the Real Milk website, which lists local farmers by state. It’s definitely not an exhaustive list though, because some farmers who have gotten in legal trouble are wary of posting their information so publicly. Another good resource is the Weston A. Price Foundation, a nonprofit with the sole goal of educating people about real food, traditional food preparation, and supporting local farmers. You can find a local chapter leader of the foundation in many parts of the world. Don’t be shy to send a short email to ask about raw milk in your hometown (feel free to link this post and say that I sent you). To my knowledge, these are the best two resources. You can also always ask people you trust who drink raw milk about the sources they use to buy it. Having read this expose, Im curious to hear your thoughts: how do you feel about raw dairy? Have you tried it?Would you try it?